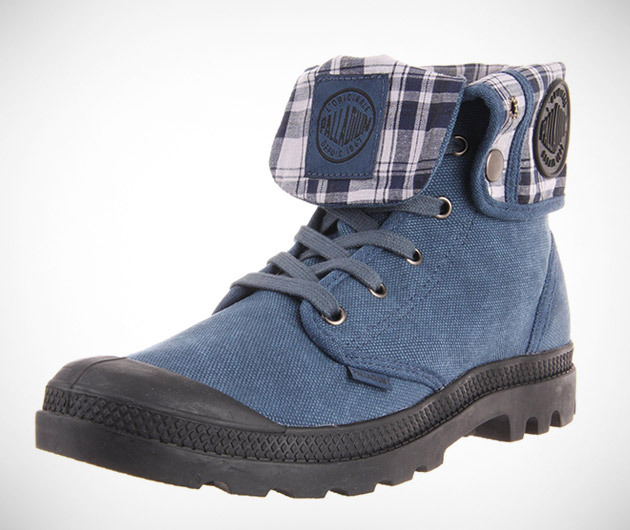 Military with an urban twist, the Palladium Baggy Boot is one funky piece of foot attire. Dyed and stonewashed design, constructed from 100% cotton canvas and a one-piece handmade rubber sole, it can be worn as a high-top or mid-height boot with the collar turned up or down. Either way, they look perfect nestled below a fine pair of denim jeans.